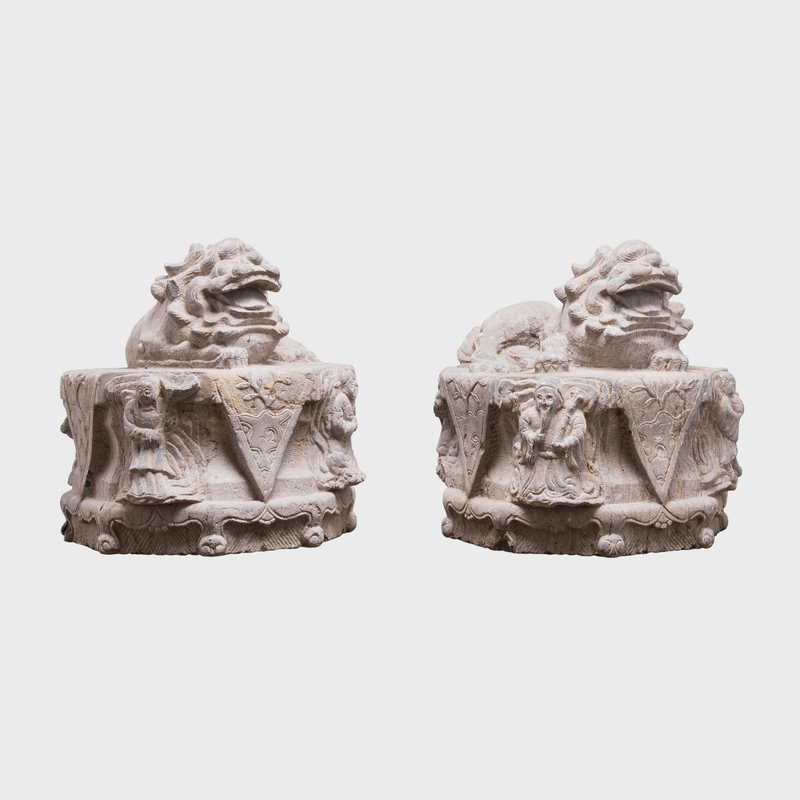 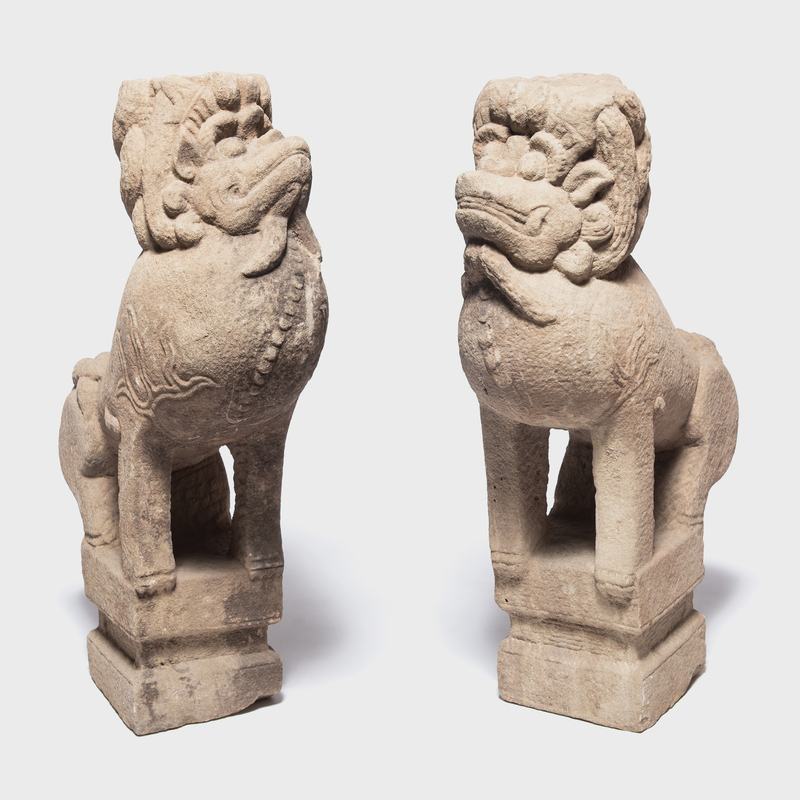 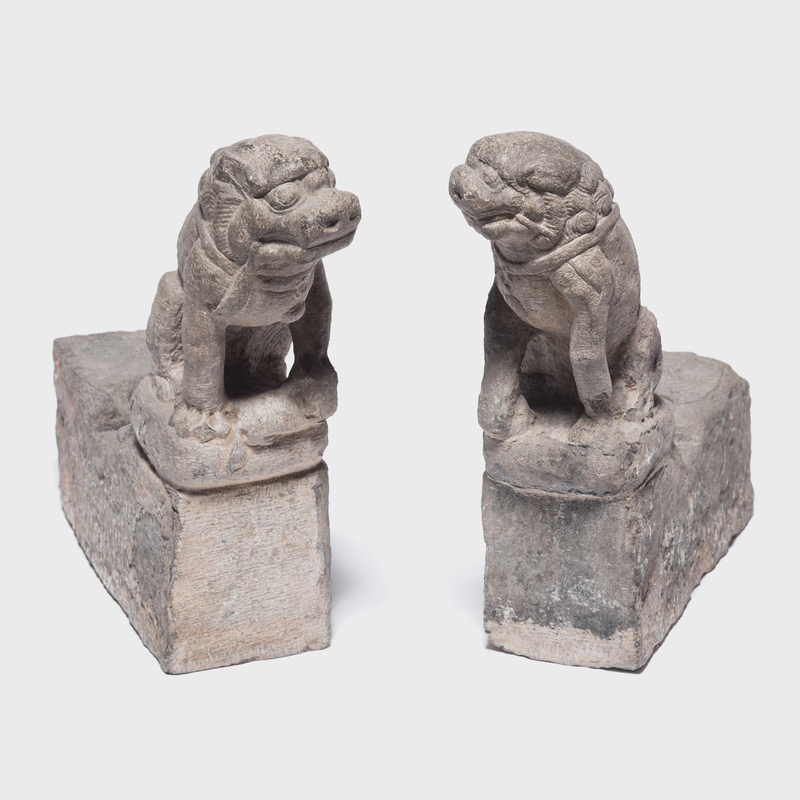 W: 10.5" D: 12.0" H: 25.0"
These 19th century Chinese Fu dog protectors, each carved by hand from a single block of limestone, once guarded the entrance to a grand provincial Chinese home. 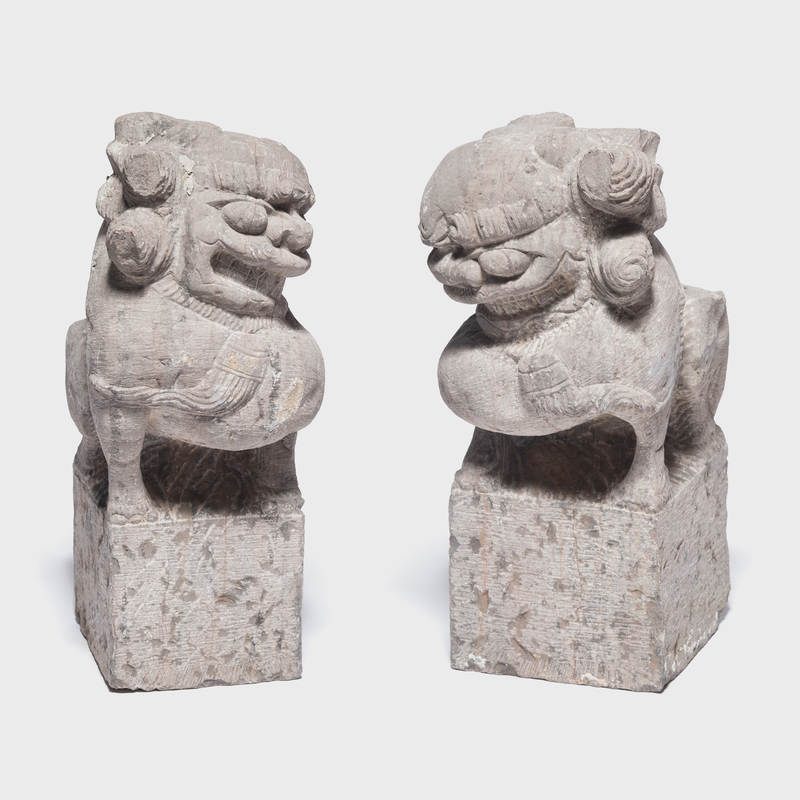 Bells hanging from collars around their necks indicate that the pair has been domesticated, and they stand at attention, offering protection from evil spirits. 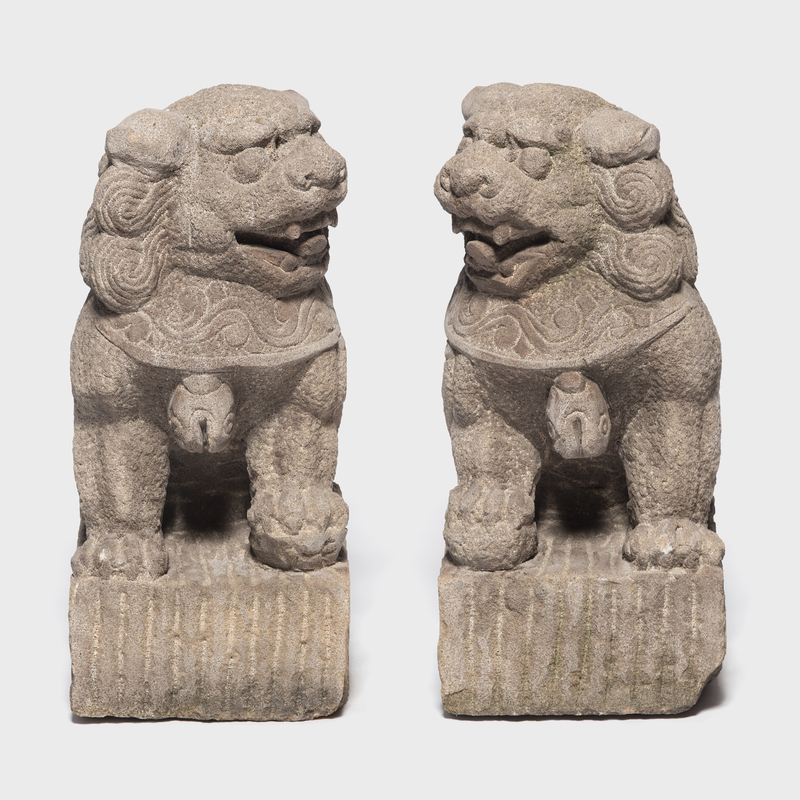 With elaborately carved manes and emotive expressions, these Fu dogs have been imbued with a remarkable sense of life and energy.